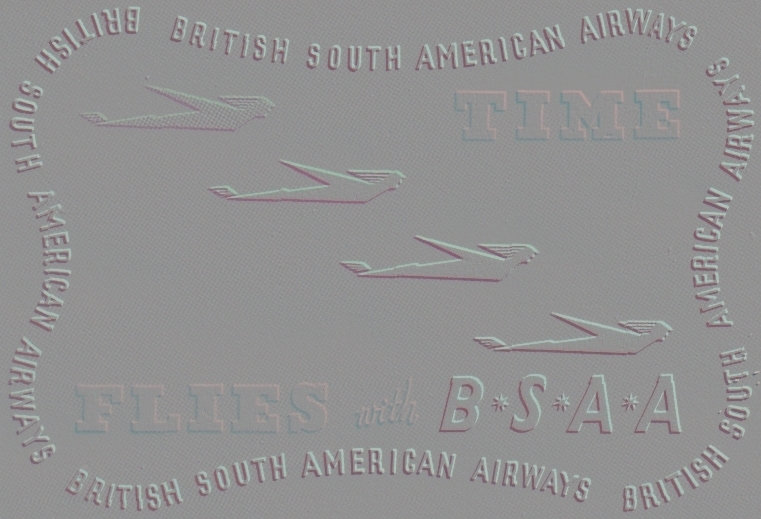 A full colour advertisement for the airline which appeared on the front cover of The Aeroplane in June 1948. 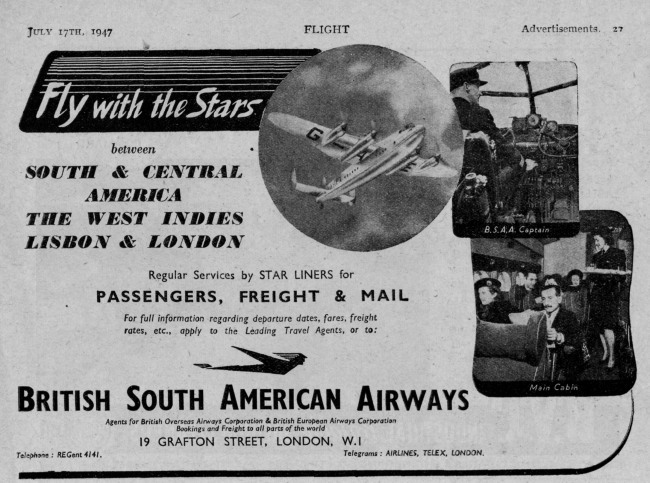 An advertisement from Flight magazine in July 1947 using the slogan "Fly With The Stars". 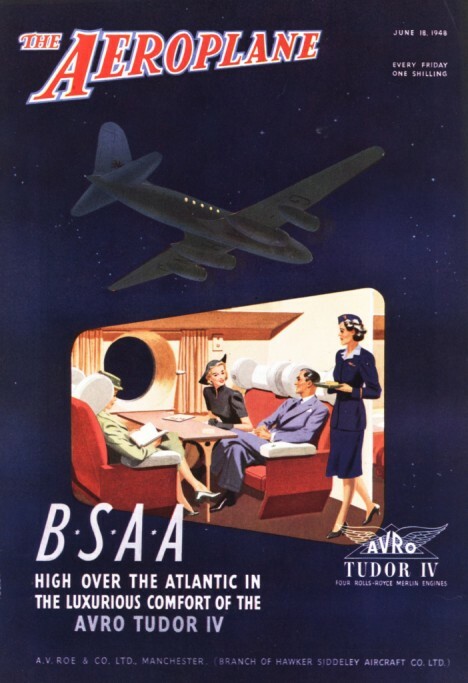 Note the advertisement included a photo of a BSAA Captain at the controls of a Lancastrian. 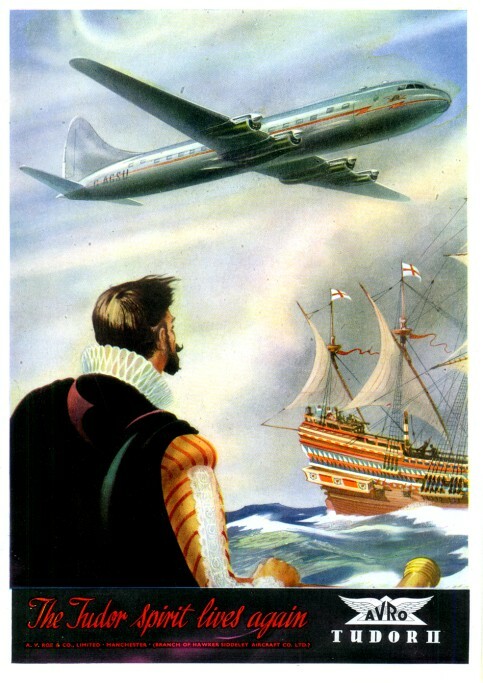 A very artistic depiction of the sleek lines of the Tudor I in an Avro advertisement from November 1945. 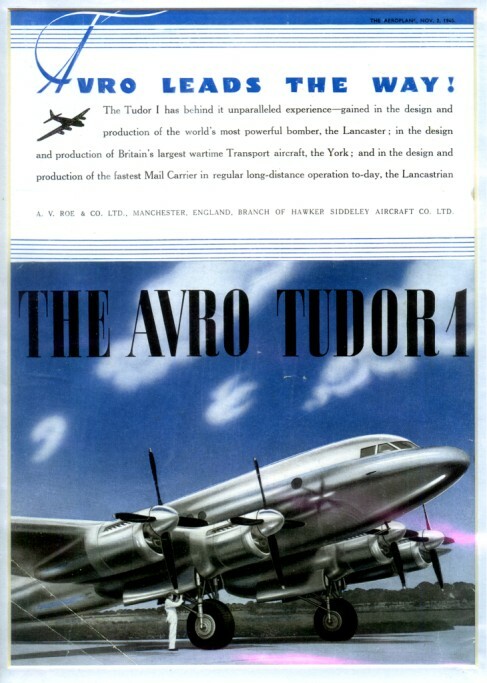 Another Avro advertisement, this time for the Tudor II. Note the aircraft depicted is that in which Roy Chadwick lost his life in 1947.